The branch of organizing events, conferences, wedding, birthday parties, corporate events or business meetings is becoming more and more popular. It is not only an essential demand of human beings, it is also a specific occasion for people to memorize the important events in their life. So it is a persuasive idea to run this kind of online business. Among WordPress is the best choice for you to invest and build for your website. It is the reason why thousands, millions of people all around the world are working on it every day because its system is so powerful, functional and user-friendly. Even when you are beginners to WordPress you can watch many useful videos/tutorials available for you to reference. In fact, the market of selling template is so saturating and highly competitive. It is the result of the increasing supply, the decreasing demand. So choosing a suitable template will take you more time to check one by one theme while you are also having many wonders in mind to give the final decision. Therefore, our article will make you a carefully selected list Best Event Planner/Planning WordPress Themes 2018. We checked thoroughly and chose the best selling themes on ThemeForest. Hoping you will spend a little time having a general look and loving them, only simple click View Demo to see more details. Please take a nap and enjoy together with us! If you haven’t built a website yet, you need to get a domain name, a web host (StableHost preferably) and install WordPress on your web host first. We have created a step by step guide on how to start a WordPress blog, you could go through it or you can follow our Video Guides to know more. 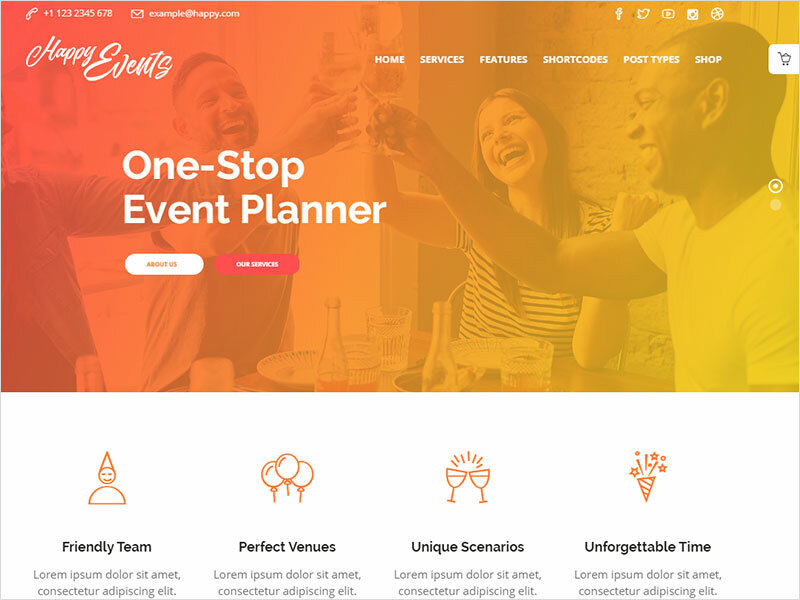 After you install WordPress, install one of these Best Event Planner/Planning WordPress Themes to make your website perfectly. 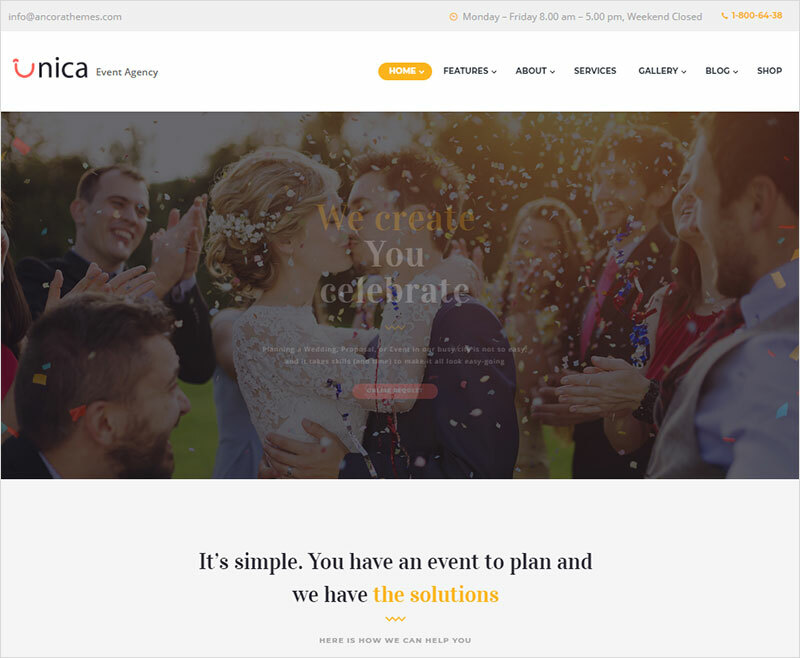 With a big sale 618 sales, Unica is one of the best Event Planning Agency WordPress Themes a lot of people love. The theme is outstanding with a festive and elegant design made for any professional event planning & management website that can be easily customized by every user. The theme includes 4 specific homepage layouts including corporate events, weddings, and socials, allowing you to give all the necessary information about any kind of event you are arranging. 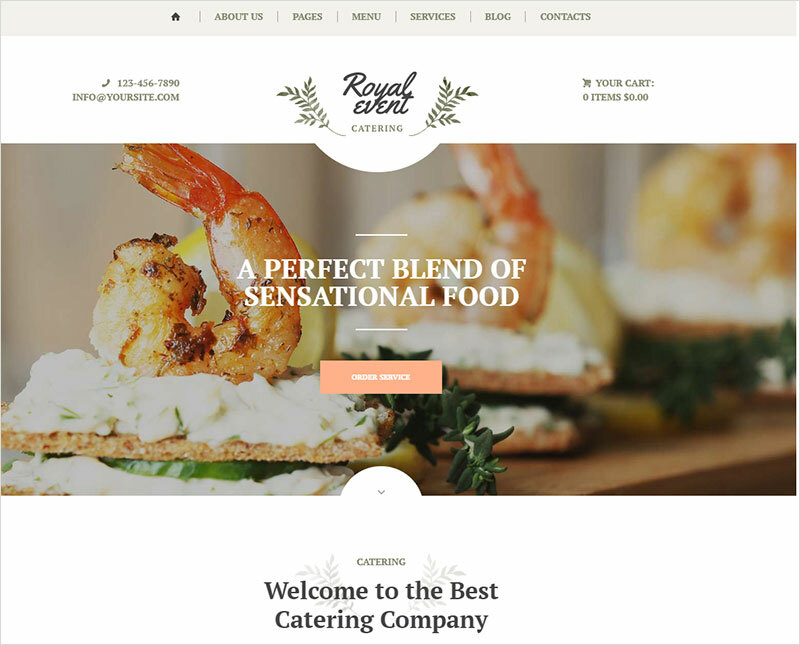 Royal Event is an Event Planner & Catering WordPress theme with 02+ Homepage Styles Boxed & Wide. The great theme is well built with Visual Composer page builder and Revolution Slider. 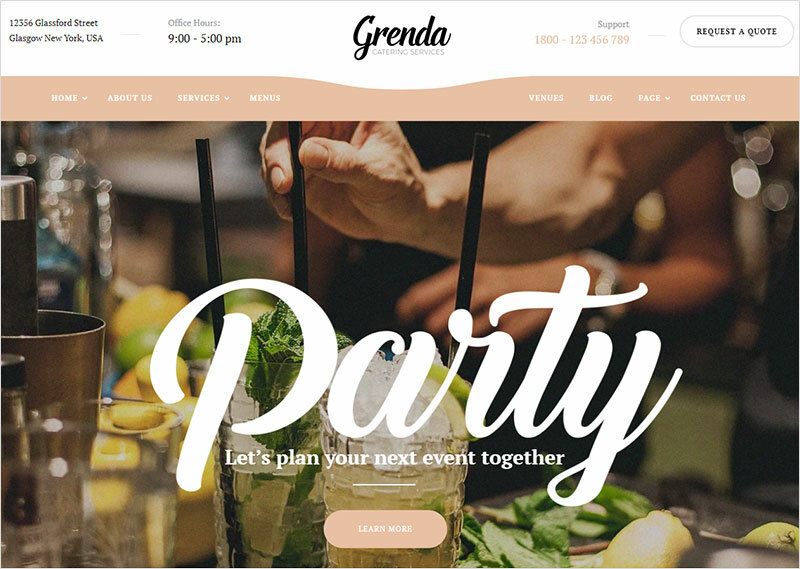 It is a festive and elegant design made for a professional event management website or a catering company that can be easily customized by every user. The is perfectly suitable for wedding planners, corporate events, restaurant rental, party decoration, planners of special occasions and special moments like birthdays, anniversaries, engagement parties, private parties arrangement or any other events. 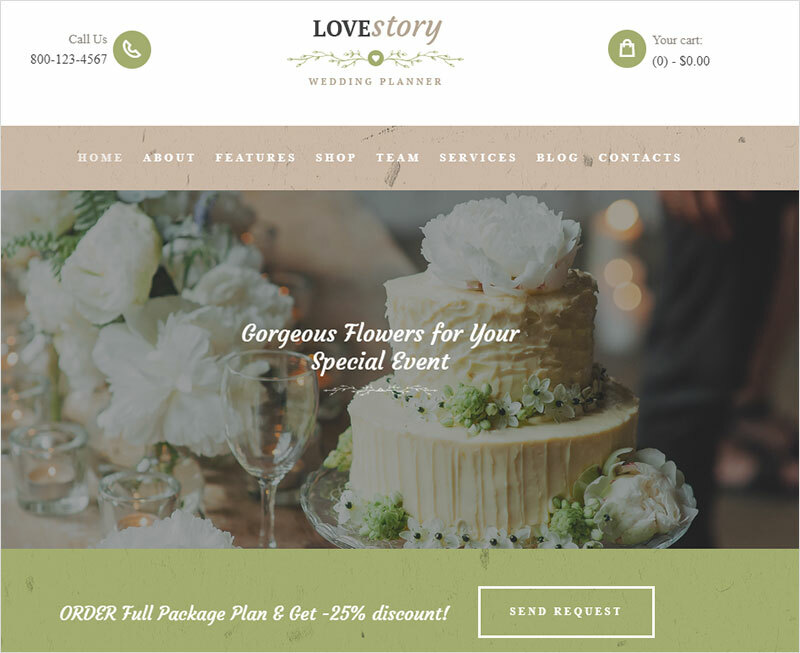 Love Story is a beautiful Wedding and Event Planner WordPress Theme for catering, decoration, restaurant, bouquets florist, event arrangement, ceremony planner, beauty blog, gift shop, wedding planning agency with a fashionable and tender design. The theme is well compatible with WPBakery the powerful page builder and WooCommerce plugin that contributes actively to the commercial transactions and boost your sale efficiently.